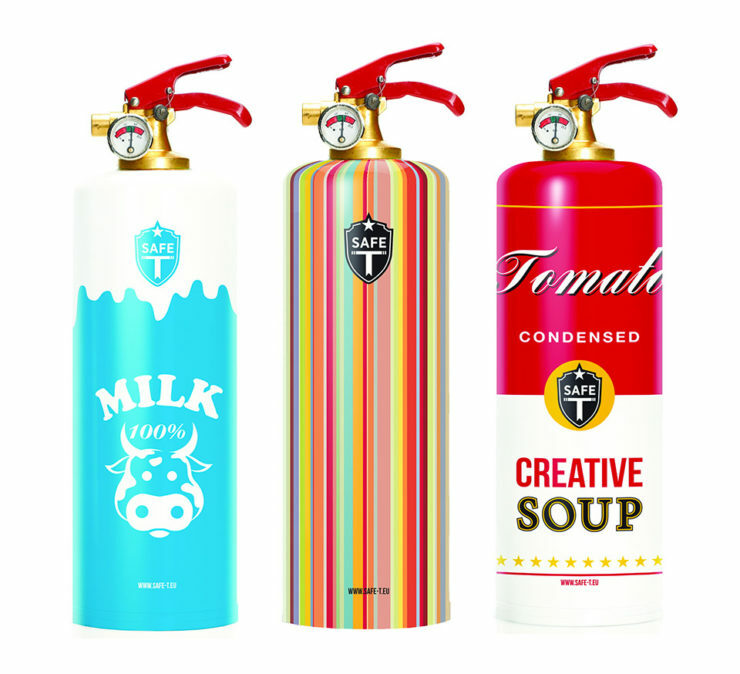 Designer Fire Extinguishers Are Meant To Blend In | OhGizmo! 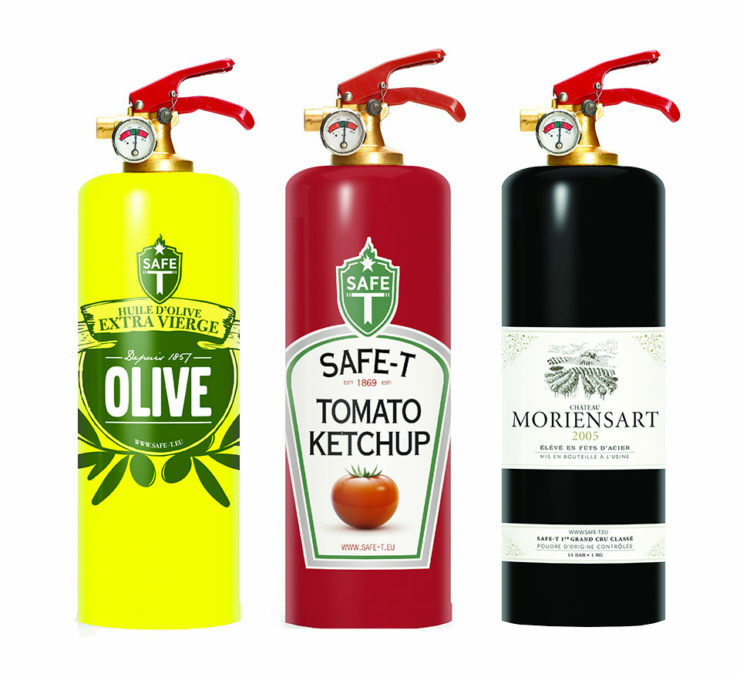 Fire extinguishers are usually bright red, presumably so they’ll stand out and be easily identifiable as a safety device. This does have the unintended side effet of making them look rather ugly, encouraging you to put them somewhere away from sight and possibly harder to reach. 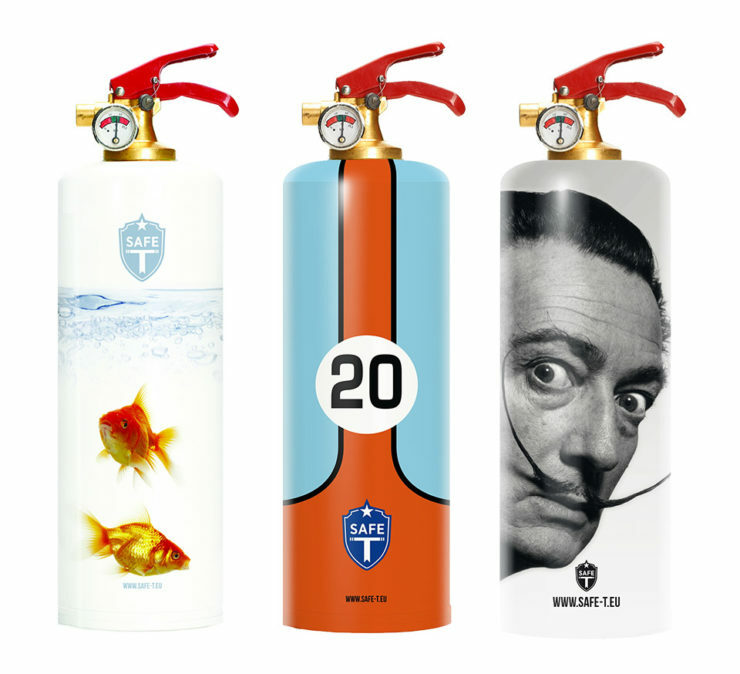 However, these Designer Fire Extinguishers from Safe-T function just like regular ones, only they sport a slightly more appealing exterior. Sure, someone might mistake one for something other than a life-saving device, but we’re hoping no one in your household is stupid enough to get this confused. There are dozens of different designs, and prices range between $99 to $199.